The Sense Herakles Atomizers have a permanent position in my vaping routine because of the top notch build quality and no leaking whatsoever. 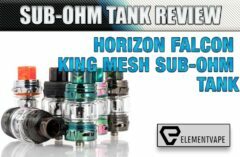 The Herakles Honor Sub-Ohm Tank (check out our review here on Spinfuel) has been my favorite Atomizer that Sense has released to date. Don’t get me wrong, I still have much sentimental value for the Herakles V1 as that was my first true introduction into Sub-Ohm Tank vaping. I didn’t bother picking up the Herakles Pro, the big brother to this Herakles Pro Nano, since the minor variations between old and new are so small that it didn’t warrant more money being spent. So when I opened up the similar Sense packaging for the Herakles Pro Nano Sub-Ohm Tank ($26.95 at Element Vape), I was excited to get a compact Herakles for the small trips around town. If you’ve read some of my previous reviews, honesty is best policy and I like to give it to you straight. I live my life truthfully and I teach my kids the same manners and respect as I was taught growing up. From me to you, the Herakles Pro Nano is a throwaway Atomizer for one simple reason; it leaks constantly! I’m fully aware of the ‘turn the tank upside down’ technique that’s worked in the past but the overall vape experience was still very dissatisfying. 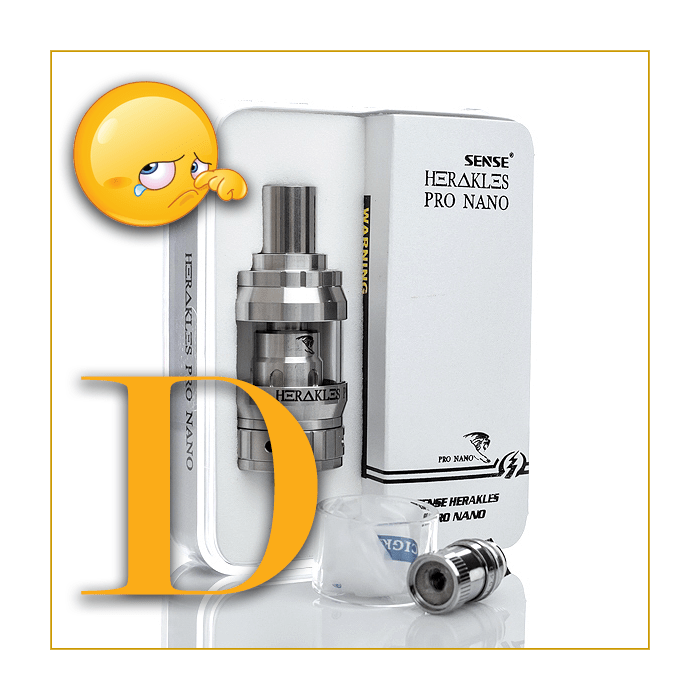 I can’t believe I’m saying this about a Sense Herakles Tank, because like I said before, I absolutely admired every variation to date; prior to the Herakles Pro Nano Tank you see here. The Sense Herakles Pro, the larger 4.5ml Sub-Ohm Tank was introduced after the Herakles Honor with very meager variations (bulging out section above and below the Pyrex glass). 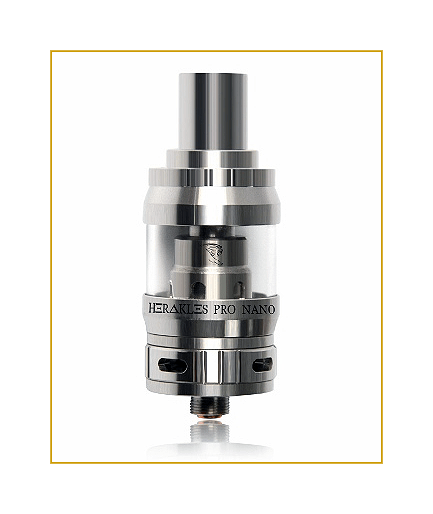 The Herakles Pro Nano is the 2ml version with a reduced chamber, making it more compact and easier to handle but maintaining the same great Sense aesthetics. Everything else about the Herakles Pro Nano is identical to the standard sized Herakles Pro but shorter with less eJuice capacity. Personally, I would choose the higher juice capacity in this instance regardless if the flavor is a teeny bit better with the 2ml Nano version. 2ml capacity for a tank is not nearly sufficient these days. (it’s more like 1ml since half my tank pours out the airflow holes!) 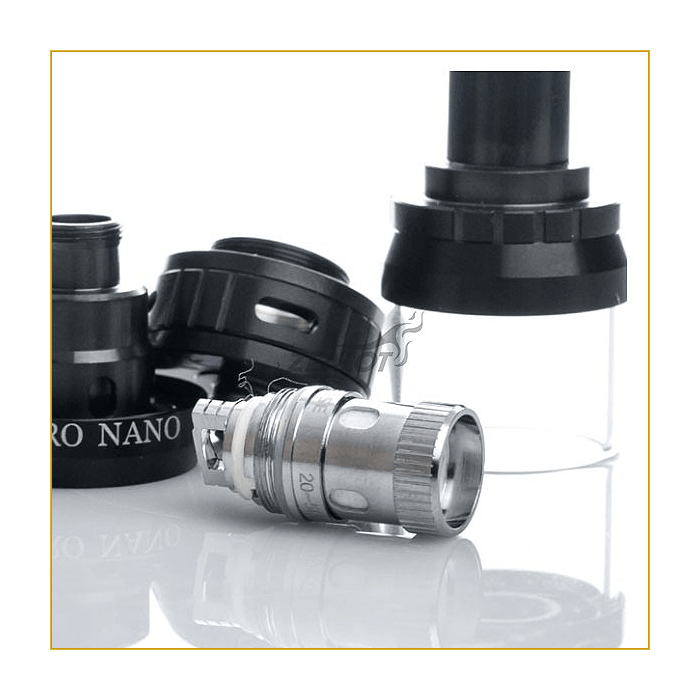 If you bought the Pro Nano, refilling will become second nature, as you must already know, so make sure you have backup bottles within arms-reach. 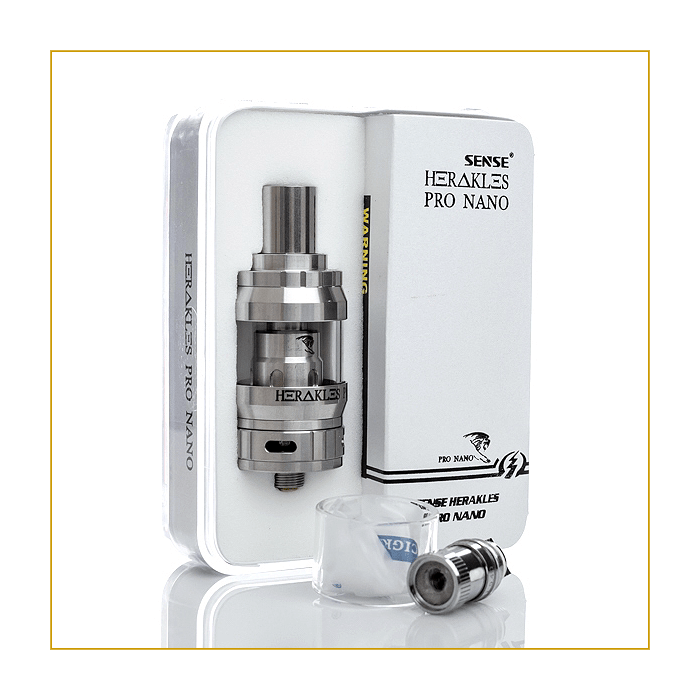 The Sense Herakles Pro Nano is designed and manufactured by Cigreat. It’s 22mm diameter at the base (increases to 23.8mm around the glass section) and is made out of the beautiful Stainless Steel we’re used to seeing with Sense products. I can attest to this after receiving the all Stainless Steel variant but it’s also available in Black or my personal favorite Rose Gold. I refer to the design as the ‘reverse hourglass shape’ since its smaller at the bottom, bigger towards the middle then small again at the top. 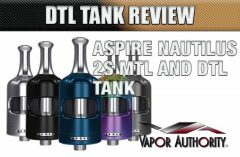 It’s not a new visual feature as the Aspire Cleito has the add-on 5ml bulging glass tank along with a few others. I actually do love the design of the Herakles Pro Nano; I just wish it performed as I initially anticipated. The top-fill system smoothly unscrews, revealing two big kidney holes which makes filling with both a dropper and bottle a simple task. The Herakles Pro Nano has six 3.5mm x 2.5mm adjustable juice flow control ports but has one catastrophic flaw; it’s backwards. Once the base is tightened to the tank section, the juice flow control is closed. Opening the juice flow takes a slight turn counterclockwise, which loosens up the tank from the base, and what I believe is the culprit behind the massive leaking issues. Unlike the Herakles Honor Tank, tightening the base down opens the juice flow, so when you want to remove the base, turning counterclockwise closes the juice ports and you’re able to change your coil without emptying the eJuice from the tank which works flawlessly. Why Sense implemented this small change is beyond my comprehension since you have to empty the tank to change the coil, which by the way, is the reason I love the Herakles Honor next to its performance. The quad adjustable 6mm x 2.3mm airflow slots provide a decent amount of airflow but more on the restrictive side. The airflow ring stops in either opened or closed positions and has enough knurling to make adjustments quick and uncomplicated. The 12mm Stainless Steel, Delrin insulated drip tip is held on snug by two O-rings (Sense included several extras in case they need replacing) and if you don’t like the included tip option, you can use any 510 compatible drip tip of your choosing. All the threading feels well machined with no squeaks or unwanted tension. The Brass 510 pin ensures a sturdy and solid connection with no issues and attached cleanly on several mods I paired it to. One of the two coils included were the Herakles Pro 0.4Ω Kanthal coil head rated from 25W-100W. With a 4.7mm ID coil and four 5.5mm x 2mm wicking slots, on paper it seems to be a solid performer. The Herakles Pro coils are 4mm shorter than the Herakles Honor’s, making them non-compatible with each other. Once installed and primed, even with the spit back protection screen covering the top of the coil head, the spitting was out of control! It reminded me of the Kanger CUPTI when I got a mouthful of scorching hot eJuice, which happened with this coil right out of the gate. I’ve never had a gurgling issue with any Herakles coils but even after taking apart the tank, cleaning it and reinstalling the coil more than once, the result was the same. I use a couple of my Herakles Tanks often and this was the first coil that utterly misled me. This isn’t like Sense to put out a subpar product and I hoped the small hiccup was only with this coil and not with the second one. The Pro 1.8Ω (mine read closer to 1.9Ω and up) is a 3.4mm ID dual parallel coil head featuring a reverse sandwich design with Food Grade Porous Ceramic sandwiched between Japanese Organic Cotton. Wattage range between 20W-50W with four 3.5mm x 2.5mm wicking slots, I hoped this Pro 1.8Ω coil was as good as my go-to, favorite 1.8Ω Honor coil heads. But again I was taken back with leaking from the air holes. I tried the ‘flipping the tank upside down’ trick, ensured all the O-rings were in snuggly in place and everything was put back together correctly but still was bombarded with tons of gurgling and spit back. The airflow was overly restricted for my preference but there was no way to tell long term since I was chasing the constant leaks and didn’t have time to actually enjoy my vape. I ordered replacement 1.8Ω Honor coil heads because I love the higher ohm flavor at less wattage so I’m not sure how the Herakles Pro version differentiates so far from the successful Honor coil heads. It was a constant battle with leaking coils and both were thrown in the trash after several cleaning attempts. Note: This review is only regarding the Sense Herakles Pro Nano and not the full-size Herakles Pro as I don’t own it and can’t directly compare the two side by side. Take my opinions with a grain of salt because maybe, just maybe the Herakles Pro didn’t have these same deal-breaking issues. The only saving grace is the Herakles Pro and Pro Nano is compatible with the Herakles Plus Tri-Parallel coils. 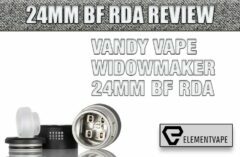 I can’t say if this would’ve changed the outcome since I had no Herakles Plus coils at the time of the review but hopefully those are a better alternative. If you’ve had a better experience using the Herakles Plus coils, please comment below and let me know if it’s worth buying some. I would’ve liked to see Sense come out with a big coil, big cloud tank like SMOK, Aspire, Vaporesso and other competing companies. 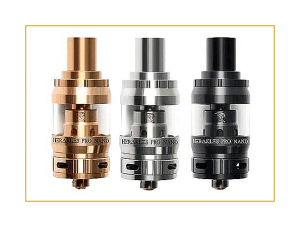 Having the Herakles Pro Nano compatible with the Herakles Plus coils is a bonus, but releasing various tanks with very modest changes is becoming repetitive and Sense is losing their upward momentum. Sense really needs a new type of Atomizer to set itself apart from all the closely related Herakles Sub-Ohm Tanks and other tanks for that matter if they plan on keeping their dedicated consumer base.